Napa and Sonoma Counties are only an hour north of San Francisco, but they are world's apart in terms of visibility and community for the lesbian, gay, bisexual, transgender, queer and questioning people in those communities. To address the glaring lack of resources and inclusion, LGBTQ Connection was born in the Spring of 2011. LGBTQ Connection, an initiative fueled by youth and other emerging leadership, fosters a healthier, more vibrantly diverse and inclusive community. Each year, LGBTQ Connection engages 3,500 LGBTQ people, their families and community, and trains 500 providers from local organizations across Northern California to increase the safety, visibility and well being of LGBTQ residents. 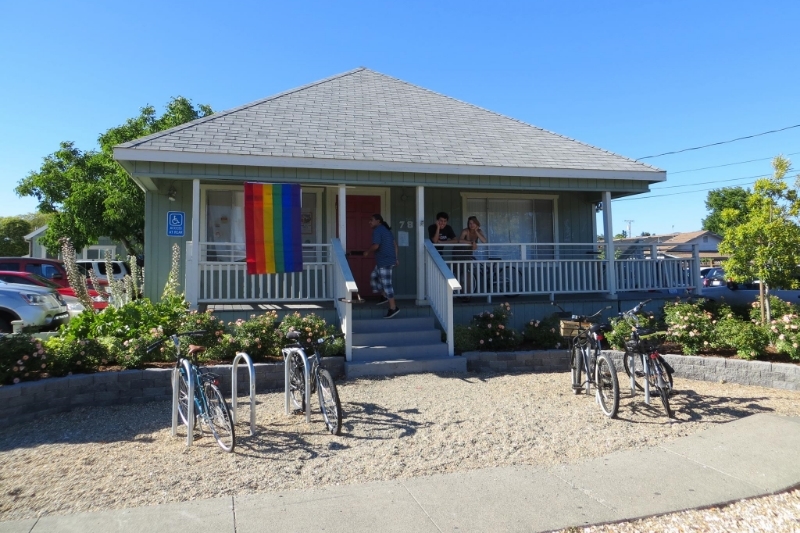 In Napa and Sonoma Counties the program operates local LGBTQ community centers, supporting underserved LGBTQ youth and elders. 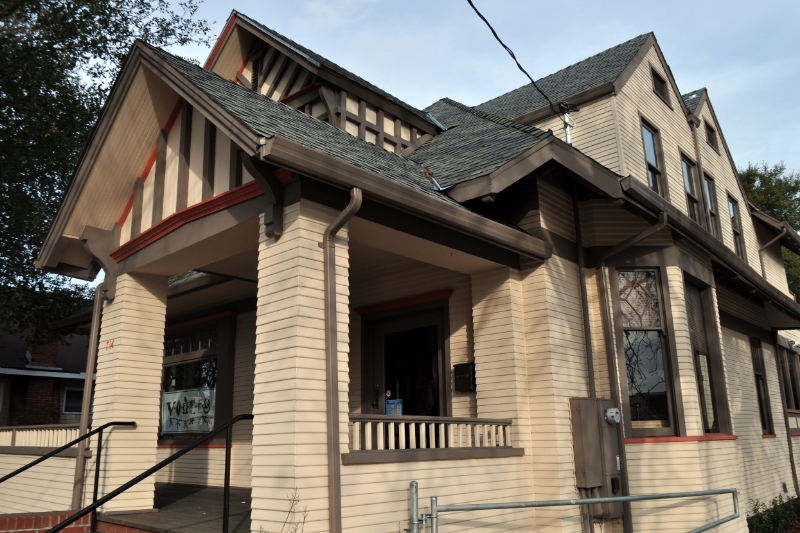 The Napa and Sonoma offices of LGBTQ Connection each provide a safe and trusted space to cultivate hubs of vibrant activities and caring community. What was born as a support group for LGBTQ youth at the VOICES youth center in Napa in early spring 2010, has grown into a comprehensive, multi-county initiative fostering healthy, diverse and inclusive communities, driven by youth and other emerging leaders in the rural and suburban north SF bay area--and a model program for the state of California! As both a hub of LGBTQ information and a thriving center of the community, LGBTQ Connection increases awareness, visibility & wellness. Whether in the closet or out for years--LGBTQ, ally, or just beginning to explore: LGBTQ Connection has something for everyone! Get to know the fabulous folks who make LGBTQ Connection tick, including staff, leadership, and committees. Find out about the variety of foundations and sponsors that partner with LGBTQ to generously support their efforts. Our program is fueled by the leadership of youth & young adults that live in the communities we serve! Each semester we recruit interested and motivated youth to join our youth leadership teams (YLTs), which run in 6 month cycles with home-bases in Napa, Santa Rosa, Calistoga or Sonoma. Increasing awareness and visibility is a large part of our work for justice. See below for official announcements, breaking news and mentions of us in the media! 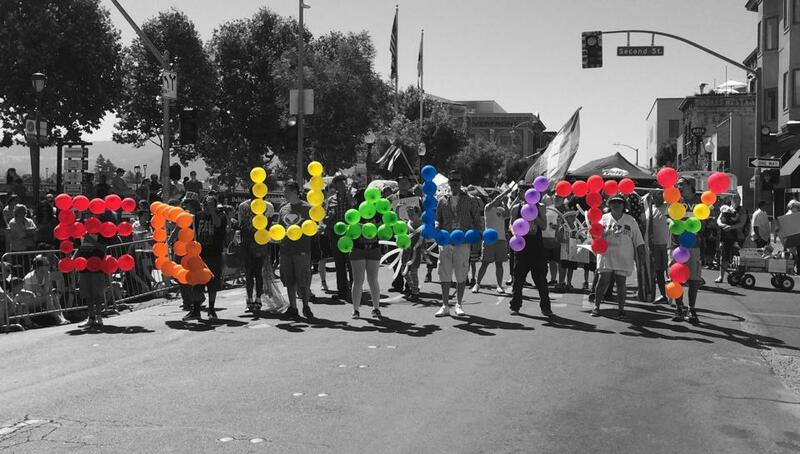 LGBTQ Connection is pleased to offer their LGBTQ Best Practices Training in Napa on Wednesday, May 29th. LGBTQ Connection está contenta de ofrecer su Capacitación de Mejores Prácticas LGBTQ en Napa el miércoles, 29 de mayo. Give OUT Day, the national day of giving to LGBTQ causes is coming Thursday, April 18, and we're counting on your participation. El Día de Dar a Causas LGBTQ, Give OUT Day, se llevará a cabo el jueves 18 de abril, y estamos contando con su apoyo. LGBTQ Connection is pleased to offer their LGBTQ Best Practices Training in Calistoga on Wednesday, March 13th from 8:00am - 12:00pm at the Calistoga Clubhouse located at 1401 N Oak Street Calistoga, CA 94515. Our trainers are bilingual and can answer questions in English or Spanish, but this training will be held in English. On Tuesday, February 19 join us on our first Napa LGBTQ Seniors walk! We’ll take a 40 to 45-minute stroll down through the Oxbow Commons. The entire way is paved with only very occasional moderate ups and downs that are eased by wheel-chair accessible ramps as well as stairs. In addition to purchasing tickets, you can support LGBTQ Connection by volunteering for the event or setup or donating silent auction items (especially wine country food, wine, hotel stays and tourism packages)! Event attendees of the event must be 21+. Browse and download a variety of LGBTQ resources, including packets from our critically acclaimed LGBTQ best practices trainings. This calendar features LGBTQ Connection's programs and events, as well as community recommended, not-for-profit LGBTQ events in Napa, Sonoma & Solano Counties. We send out major news via email about every few months. To make sure you get our announcements, give us your contact info here. We also suggest you follow us on your favorite social media platform(s) to catch our in-between news.